Expand upon your understanding of RNA methylation with the help of EpiGentek’s complete suite of RNA methylation products. 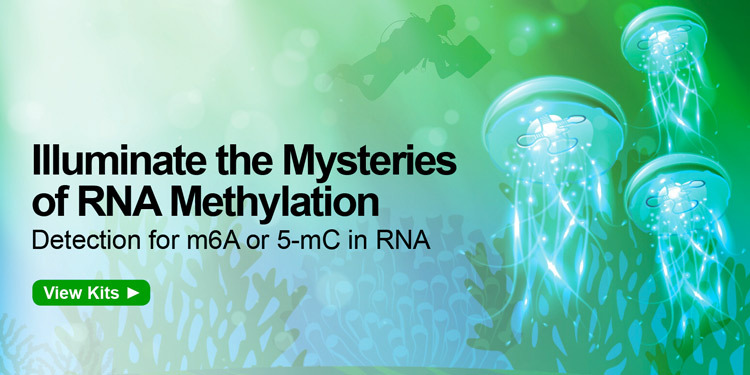 From directly quantifying the "fifth RNA base" N6-Methyladenosine (m6A) to measuring global 5-mC RNA and more, our kits make it easy for you to determine how RNA methylation influences your research project. Investigate N6-methyladenosine (m6A) -- the most common and abundant methylation modification in RNA molecules present in eukaryotes. Known as the "fifth RNA base", m6A RNA modifications are reversible, highly dynamic, and likely play important biological roles comparable to DNA methylation and histone modification. Study the occurrence of 5-methylcytosine (5-mC) in RNA -- a well-known methylation modification found in various RNA molecules including tRNAs, rRNAs, mRNAs and non-coding RNAs (ncRNAs). Evidence has shown that RNA cytosine methylation affects the regulation of various biological processes such as RNA stability and mRNA translation, and that loss of 5-mC in vault RNAs may cause aberrant processing into Argonaute-associated small RNA fragments that can function as microRNAs. 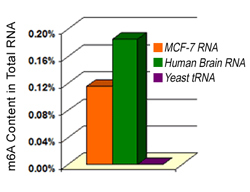 Accurate quantification of 5-mC content of various RNA samples from different species using the MethylFlash™ 5-mC RNA Methylation ELISA Easy Kit (Fluorometric). The results are closely correlated with those obtained by MS-LC. Quantification of m6A RNA methylation in different samples. 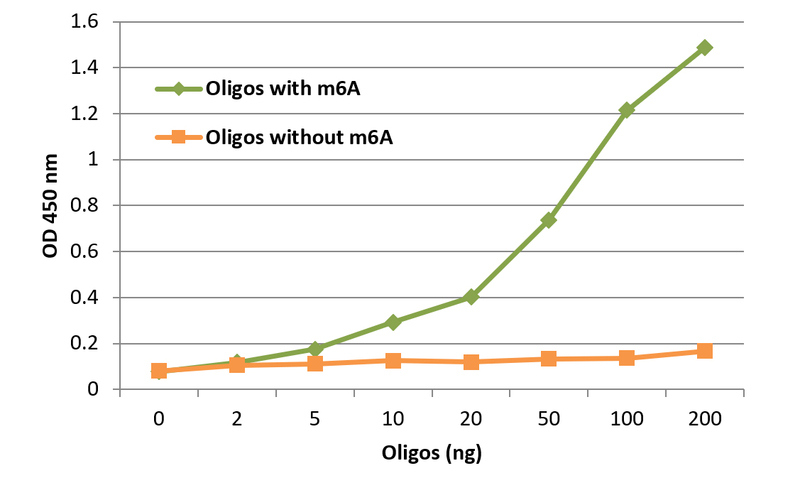 200 ng of RNA isolated from different tissues or cells were added into the assay wells and the m6A contained in RNA was measured using the EpiQuik™ m6A RNA Methylation Quantification Kit.